The Garmin Nuvi 56LMT is an ideal sat nav to own as it lets you navigate to your destination just as soon as you remove it from its box. It boasts a dual-oriented 5” colour display, that enables you to enjoy turn-by-turn directions that have no dependency on satellite signals. Since the Nuvi Sat Nav has no dependency on satellite signals, you have no worries when it comes down to navigating through dead-end zones. 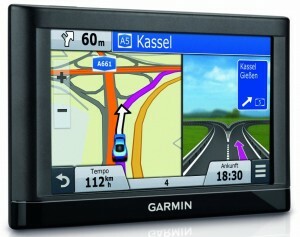 This sat nav is a perfect addition in case you wish to navigate your way across the UK. This is because it does come pre-loaded with maps that cover the whole of the UK. In addition, it boasts of a number of features on its 5 inch dual display that make for a splendid navigation. Some of the features it comes with include lane assist with a junction view and points of interest , the Garmin Real Voice that is natural sounding and friendly and an Up Ahead feature that notifies you of upcoming points of interest. Every Nuvi 56LMT comes with built-in lifetime map updates that enable you download the latest map updates from your computer so you always have up to date information whenever you travel. In addition, it is also possible to add mapping coverage outside of what’s already pre-loaded in your sat nav by downloading or adding an SD card loaded with the area you wish to travel to. A very simple menu is what makes up the home screen of this sat nav, continuing legacy of literary every Garmin nuvi model that was released in the past few years. A view of the map can be achieved when you either tap the “View Map” or “Where To?” on the screen, following which, you will be able to go through the simple procedure of creating a route to your desired destination. A number of statistics are at your disposal in case you wish to track your location after you set your route. To enable you acieve this, you are presented with both the 2-D and 3-D views on your gadget. Statistics include but are not limited to distance information, next turn or any important signs. 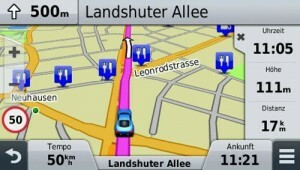 This sat nav will talk to you as you navigate if you so wish thanks to the Text-to-speech technology it incorporates. At the end of the day, thanks to impressive sat nav units such as the Garmin Nuvi 56LMT, you’re able to comfortably navigate through unfamiliar territory. A split can be done on your display in a bid to enable you see your navigating route while at the same time not loosing track of your lane changes and thanks to the brightly coloured arrows, you are assured of staying on the right route as you travel. You also have the option of storing up to 1,000 of your favourite places within your sat nav and recalling them at later date easily and quickly. 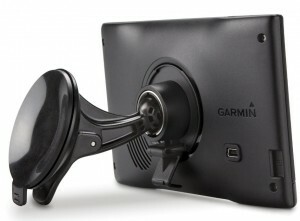 The above listed features are what ultimately make the Garmin Nuvi 56LMT an ideal navigation unit to own. I recently used this device for the first time (also bought at Aldi) and had no problems whatsoever. The M6 roadwork traffic was advised in good time. It even advised of holdups on the M1 before I’d even got to the M1. So I cannot fault this device at the moment. this is a very good sat nav take no attention to negative people . i had a tomtom utter garbage through mine in the bin . had mine for one year loads up perfect and has a quick rout on it . maybe the guy who likes tom toms should have read the instructions first sounds like he’s a dumdum .